New Yorker reporter Sophie Brickman tells readers to think of the three covert days spent in Brooklyn by 20 world-class culinary artists as The Real World: Chef’s Edition. And that’s just the tip of the analogous iceberg. FishbowlNY while reading also saw visions of Real House Chefs of Williamsburg, Undercover Sauce, America’s Got Imported Talent and more. 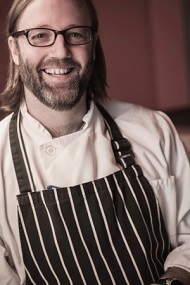 They’d focus on three of Dufresne’s signature dishes: shrimp noodles, cold fried chicken and scrambled egg ravioli, a cube-like concoction made of scrambled eggs encased in a sheath of egg yolk. 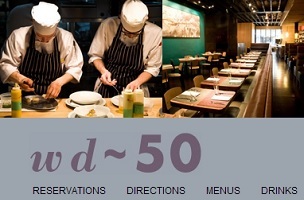 They’d form cooking groups, pick their dishes and converge at wd~50 on a Tuesday, when the restaurant was closed. At the appointed hour, someone would call Dufresne to inform him that the restaurant was flooded. When he came rushing over, he’d arrive to the party of his dreams. One of the participants, Alex Atala, almost blew it on Sunday when he posed at the Ace Hotel for an Instagram-shared snap. Each chef was allowed to invite two guests and as Brickman goes on to detail, in the end, it all came together at Dufresne’s 50 Clinton Street establishment as beautifully as each and every one of the conspirators’ Michelin-starred concoctions.